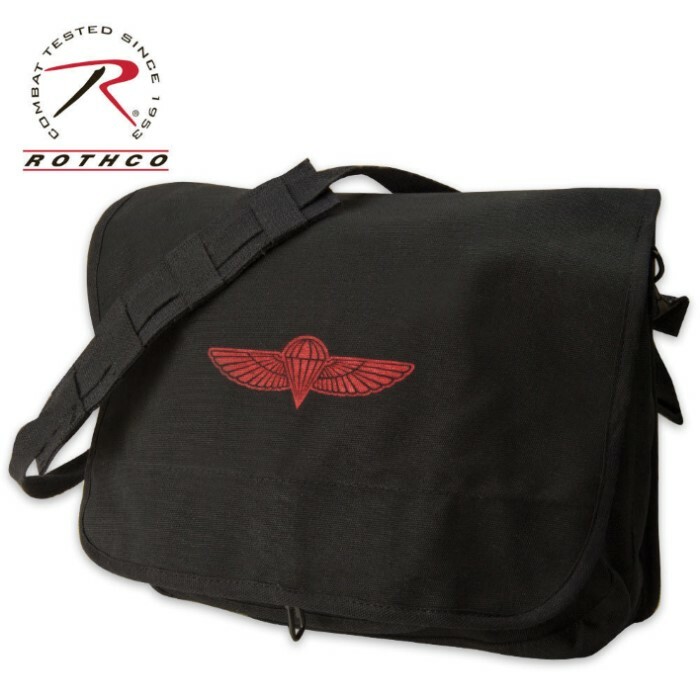 Measurements: 15" x 11" x 4"
This Israeli paratrooper shoulder bag is crafted of durable, heavyweight cotton canvas and abounds with functionality and versatility. It offers three inner compartments for organization and lots of storage, an outer double snap compartment with shell loops, and an adjustable shoulder strap for comfort and convenience. Great bag, lots of storage. I use mine to carry books to and from school. Sits nicely on my shoulder .